Since many of my latest posts have focused on the absurdities I face in Corporate America, I wanted to repost something for my newer readers that focuses on the other topic I love to tackle…the absurdities of parenting. I was recently talking to Elizabeth’s future mother-in-law, Joy, about the beginning of the school year. (If you’re wondering about my 10 year old’s engagement, see my earlier post “80’s Wedding”). We were brimming with excitement, because our kids were both entering fifth grade this year. Fifth grade is pivotal in our school district, because it is the year in which our kids can finally receive free instruction on a musical instrument. The hope is that with only 7 more years until the college admissions process, your child will quickly stand out as a prodigy and, without any actual financial investment on your part, will excel to the point of being admitted to the college of your dreams (who cares what they want, kids don’t know anything). Joy and I, like all fifth grade parents, were anxiously chatting about the instruments our children were considering. Elizabeth was dead set on the flute. Having tried some free violin lessons during summer school, she felt that holding the violin and the bow at the same time with two different hands was too complicated. I respected her reasoning, since it was the same logic I used when I gave up skiing for snowboarding. I’m actually terrible at both, but I found that much more can go wrong with two skis controlled by two different feet. I came to this conclusion after a series of embarrassing mishaps, including falling off a rope tow into a ditch on a mountain somewhere in the Swiss Alps. While I was fairly certain the violin would not send Elizabeth rolling down a snowy incline, I could image several hazardous scenarios involving her bow and some unsuspecting kid’s eyeball. Definitely too much liability. Unfortunately for Joy, her son Dominic was seriously considering the eyeball-poking violin. Joy expressed concern with this choice. Aside from the above-stated liability, there is an abundance of kids who play the violin these days and, let’s be honest, from a college admissions perspective, it’s hard to stand out a violinist. The path of least resistance was to take up a less popular instrument. The flute was a pretty standard instrument too. I wondered if I could get Elizabeth to play the french horn. Joy broke it down for me: the easiest way to get a scholarship was with the saxophone. Forget the french horn. We quickly brainstormed on how to convince our kids that the sax was cool. I threw in my input. We could tell them they could become the next Kenny G. Not bad in theory, but Kenny G is dated these days. Or was he? Enter Corinne to the rescue. Corinne had been eavesdropping, her favorite pastime, and quickly informed us that Kenny G is Katy Perry’s “Uncle Kenny” in the video “Last Friday Night” and, in fact, plays a mean saxophone on the roof of the house during the wild teenage party depicted in the video. She advised us to check out the video on YouTube. Anxiously, we complied. Sure enough, Corinne was right. 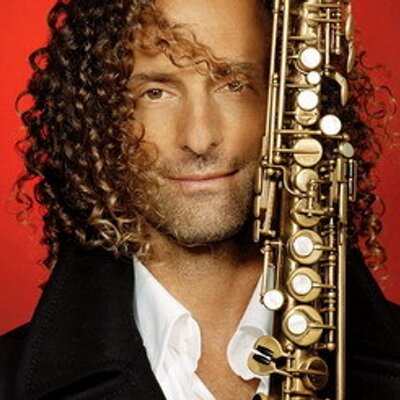 Kenny G was still making the sax look cool! We had what we needed to convince the kids and ensure their college admissions. Joy and I breathed a sigh of relief. Hmm, maybe it was a draw. I can’t hide from the fact that I’m a bad parent, but at least my first grader is learning to resolve true crisis situations. If I focus on the positive, I might be able to sleep at night…at least until Elizabeth starts playing the saxophone on the roof. Previous Previous post: Quick Quiz – Which Corporate Employee Are You?